The panel has demanded an examination of the merits and demerits of continuing with the system where three years residual service before retirement is a must for the command of a ‘Corps’ and two years for a being appointed GOC-in-C of a ‘Command’. There is also non-functional upgradation to the apex scale of Rs 80,000 available to those who are not promoted due to lack of residual service as a result of which many senior Generals are getting a pay lower than their juniors though their appointments may be interchangeable, the panel observed. The anomaly is a fallout of the residual service system. The said problem does not affect the Navy and the Air Force since they do not have a formation equivalent to a Corps and even the residual service prescribed for C-in-C level is one year unlike three years and two years for Corps Commander and Army Commander respectively in the Army. It has been averred that the concept of “residual service” makes the entire promotional or pay progression system fortuitous and chance-based depending upon a person’s date of birth,” the report says. The panel has also said that to add to the problem, there is discretion of a waiver with the government which can make the concept even more arbitrary in an already fortuitous system since the policy states that ‘priority’ would be granted to those with residual service and does not make the criterion totally stringent. “When we give deep thought to the issue, we find that in today’s time and age, it may not make perfect sense to persist with a system wherein say, an officer with a very high merit is unable to make it to a higher rank or appointment since he falls short of the criterion by one day and the other who is much lower in comparable merit makes it since he is above the criterion by one day, and to top it all, as mentioned above, the government can grant a waiver at its discretion in the said criterion,” the report states. We feel that there must be a scientific analysis of the current system and a study to examine the desirability to continue with the same or not since prima facie it places merit or capability on a backburner while giving fillip to the fortuitous condition of the date of birth alone or factors associated with mere chance and discretion. It goes without saying that in case any change is finally envisaged, it must be implemented prospectively and that too only for the future after a sufficiently long time-lag so as not to affect or cause any heartburn in the higher brackets when the change, if any, is finally implemented,” the report says in conclusion. 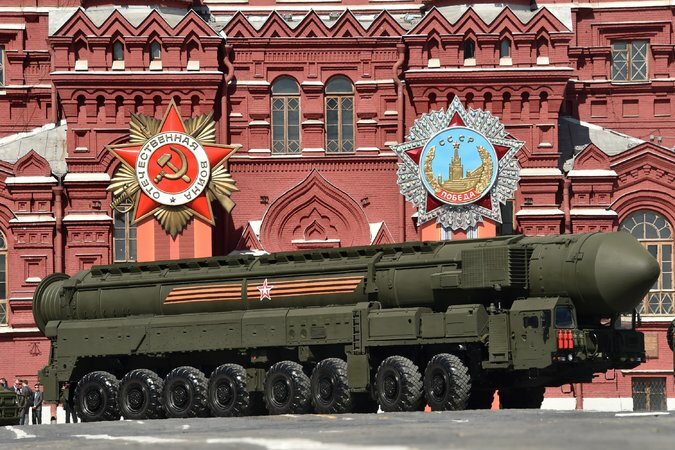 A Russian intercontinental ballistic missile that can carry four miniaturized nuclear warheads was paraded through Red Square in Moscow last May. For a president who came to office more than seven years ago talking about eventually ridding the world of nuclear weapons, it was an admission that an American policy intended to reduce the centrality of atomic arms might contribute to a second nuclear age. One of the few veterans of the Cold War in his administration, James R. Clapper, the director of national intelligence, told the Senate Armed Services Committee during his annual global threat assessment, “We could be into another Cold War-like spiral.” Yet it is different from Mr. Clapper’s earlier years, when he was an Air Force intelligence officer weighing the risks of nuclear strikes that could level cities with weapons measured by the megaton. 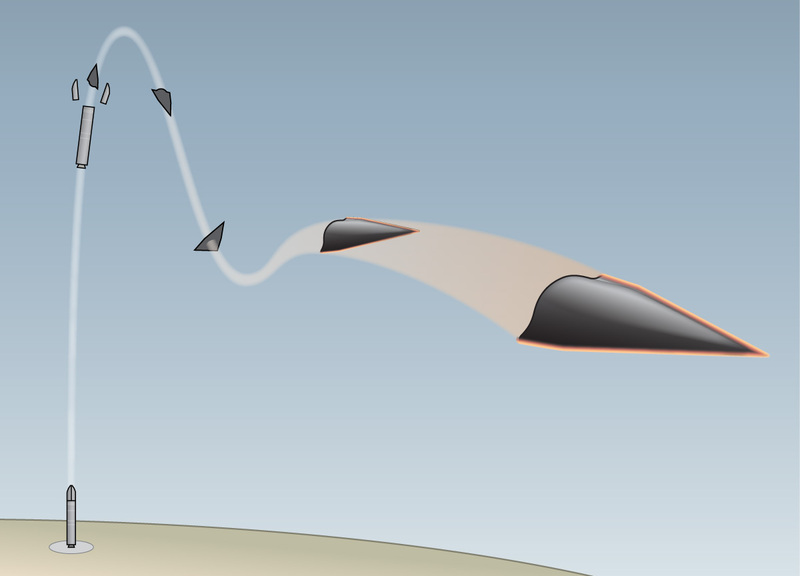 A new type of weapon called a hypersonic glide vehicle is being developed by both the United States and China. It is an ultrahigh-speed warhead that can travel up to 17,000 miles per hour. Reuters Despite speed bumps like the delayed Rafale Fighter deal, the Avro aircraft replacement and mid-air refueller aircraft contracts, sentiment is positive. “Are things moving in [the] MoD [Ministry of Defence]?” is the question on everyone’s lips in defence seminars these days. It’s time for a reality check after the recently concluded DefExpo (which was the ninth in the series of biennial land, naval and internal homeland security systems exhibitions), and the newly released Defence Procurement Procedure (DPP) 2016. It all boils down to the “environment” created by the government with three clear signals from the Union Defence Minister, Manohar Parrikar. First, the government can claim credit for demonstrating intent to energise the procurement process by accepting many of the suggestions of the Dhirendra Singh Committee set up to make recommendations to revamp the DPP. The introduction of a new category of Buy Indian (or IDDM, Indigenous Design Development and Manufacture), the graded acceptance of better quality through the introduction of an “enhanced” performance parameter clause, and the sudden energisation of private players in defence manufacturing are some cause for cheer. Second, many of the rules that hitherto put the private industry at a disadvantage vis-à-vis the Defence Public Sector Undertakings (DPSU) have been modified or removed. Thus, “nomination” of a DPSU for absorbing transfer of technology has been done away with and the tax exemptions withdrawn, which effectively makes pricing more competitive. Third and most important, there is visible incentivisation of Micro, Small and Medium Enterprises (MSME) in many spheres. Their energetic response to the government’s initiatives is seen in their setting up of a Defence Innovators and Industry Association to “interact with Government decision-makers to ensure a policy that encourages design and development of defence equipment with IP [Intellectual Property] ownership in Indian companies”. This bodes well for the future since MSMEs, which are the Tier-II and -III suppliers, are the crucibles of innovation and the true determinants of indigenisation. Nuclear Security Summits have yielded little by focussing on securing small amounts of nuclear material. Any real progress must entail the U.S. and Russia reducing stockpiles and India and Pakistan reining in competitive nuclearisation. On March 31 and April 1, leaders of 52 countries including India came together in Washington DC for the fourth Nuclear Security Summit. Held every two years since 2010, these summits started with the recognition of the risks posed by plutonium and highly enriched uranium (HEU), the key ingredients for making nuclear weapons, and aimed to “secure all vulnerable nuclear material in four years”. Despite this high-level political attention, and fanfare, these summits have achieved little. To make matters worse, countries that in 2010 were producing plutonium and highly enriched uranium continue to do so, and the dangers from nuclear weapons have been neglected. The main failings were of conception and a political willingness to settle for easy options. Despite the expansive declarations of the need “to maintain effective security of all nuclear materials, which includes nuclear materials used in nuclear weapons”, the summits narrowed their focus to civilian holdings in non-nuclear weapon states. This material is already being monitored by International Atomic Energy Agency (IAEA) inspectors and, more importantly, is but a tiny fraction of actual global stockpiles. Some numbers will help put this in perspective. Closing the 2016 Nuclear Security Summit, U.S. President Barack Obama summed up what has been achieved in the six years since this effort started: “We’ve now removed or secured all the highly enriched uranium and plutonium from more than 50 facilities in 30 countries — more than 3.8 tons, which is more than enough to create 150 nuclear weapons.” This may sound like a lot, until one looks at the scale of the actual problem. Since 2006, the International Panel on Fissile Materials (IPFM), an independent group of arms-control and non-proliferation experts from 17 countries, has been keeping track of HEU and plutonium around the world. In Global Fissile Material Report 2015, IPFM’s most recent annual assessment of stockpiles, it was estimated that there is about 1,370 tons of HEU in the world, “enough for more than 76,000 simple, first-generation fission implosion weapons” with about 99 per cent of this material held by nuclear weapon states, mostly Russia and the United States. The IPFM estimated the global stockpile of separated plutonium as about 505 tons, enough for about 1,30,000 nuclear weapons. About 98 per cent of this material is stored in the nuclear weapon states. Taken together, this gives a total global stockpile of almost 1,900 tons of nuclear weapons-usable material. Five basic verities regarding the emerging redistribution of global political power and the violent political awakening in the Middle East are signaling the coming of a new global realignment.The first of these verities is that the United States is still the world’s politically, economically, and militarily most powerful entity but, given complex geopolitical shifts in regional balances, it is no longer the globally imperial power. But neither is any other major power.The second verity is that Russia is experiencing the latest convulsive phase of its imperial devolution. A painful process, Russia is not fatally precluded – if it acts wisely – from becoming eventually a leading European nation-state. However, currently it is pointlessly alienating some of its former subjects in the Islamic southwest of its once extensive empire, as well as Ukraine, Belarus, and Georgia, not to mention the Baltic States.The third verity is that China is rising steadily, if more slowly as of late, as America’s eventual coequal and likely rival; but for the time being it is careful not to pose an outright challenge to America. Militarily, it seems to be seeking a breakthrough in a new generation of weapons while patiently enhancing its still very limited naval power.The fourth verity is that Europe is not now and is not likely to become a global power. But it can play a constructive role in taking the lead in regard to transnational threats to global wellbeing and even human survival. Additionally, Europe is politically and culturally aligned with and supportive of core U.S. interests in the Middle East, and European steadfastness within NATO is essential to an eventually constructive resolution of the Russia-Ukraine crisis.The fifth verity is that the currently violent political awakening among post-colonial Muslims is, in part, a belated reaction to their occasionally brutal suppression mostly by European powers. It fuses a delayed but deeply felt sense of injustice with a religious motivation that is unifying large numbers of Muslims against the outside world; but at the same time, because of historic sectarian schisms within Islam that have nothing to do with the West, the recent welling up of historical grievances is also divisive within Islam.Taken together as a unified framework, these five verities tell us that the United States must take the lead in realigning the global power architecture in such a way that the violence erupting within and occasionally projected beyond the Muslim world—and in the future possibly from other parts of what used to be called the Third World—can be contained without destroying the global order. Anyone familiar with the Organisation of Islamic Cooperation knows its prosaic routine on J&K. Pakistan’s diplomats go with a standard para on Kashmir to the OIC meetings and others simply approve it without any discussion. Islamabad claims a major diplomatic “triumph”; and Delhi rejects the OIC “intervention”. The gulf between Pakistan’s obsession with mobilising support from the Muslim world on the Kashmir question and the unfolding geopolitical turmoil in the Middle East is back in view. Following only the South Asian media, you might be tempted to conclude that a summit of the Organisation of Islamic Cooperation (OIC) in Istanbul last week was devoting serious attention to the problem of Jammu and Kashmir. As the summit concluded, Islamabad put out the word that the rulers of the Islamic world had called on India to implement the “pending UN Security Council resolutions” on Jammu and Kashmir, expressed concern at the “gross violation” of human rights there by the Indian security forces and affirmed support to the Kashmiri struggle for “self-determination”. If that sounded menacing, Delhi was quick to express “utmost regret” at “factually incorrect and misleading references” to Kashmir in the statement issued by the OIC summit and declared that the organisation had no “locus standi” on matters internal to India. Official Islamabad and Delhi had done their duty. But Jammu and Kashmir was probably the last thing on the mind of a deeply fractured OIC. Anyone familiar with the OIC knows the prosaic routine on Kashmir. US Army/ US Marine Corps Field Manual/Warfighting Publication, Insurgencies and Countering Insurgencies, defines an insurgency as the organized use of subversion and violence to seize, nullify, or challenge political control of a region[ii]. Given the Taliban’s frequently stated main objectives to end the “occupation” of Afghanistan by international troops and to replace the current republican constitution, that they denounce as a “western copy” forced upon the Afghan nation by invaders with a, according to their view, truly Islamic order[iii] in an armed struggle, seemingly clearly designates it as an insurgency. The war in Afghanistan after the international intervention in 2001 – together with the conflict in Iraq after the invasion of 2003 – can be seen as the resurgence of COIN into modern military doctrine[iv], as Western forces realized that they are not able to win the war by simply destroying enemy forces as they vanished within the civilian population only to reemerge to fight another day. The newly (re)found approach was to win the often-quoted hearts and minds[v] of the population or – maybe less poetically, but probably more realistically speaking – to deny the insurgents the population’s (voluntarily or involuntarily) support without which they would become isolated and unable to operate. On April 13, 2016, at least seven policemen and four ‘criminals’ were killed in an exchange of fire in the Kacha (riverbed) area of the Indus River between Districts of Rajanpur and Rahim Yar Khan in Punjab Province. While eight ‘criminals’ who sustained injuries managed to escape, 22 policemen were taken hostage by the 'criminals'. On April 14 four injured policemen were released but the remaining 18 were still in captivity. On April 7, 2016, unidentified militants shot dead at least three Shias at the Najaf Imambargah (Shia place of worship) in North Karachi Town, in the provincial capital of Sindh. On April 4, 2016, Feroze Shah, the personal assistant to Muttahida Qaumi Movement (MQM) leader Mohammad Ateeq, his daughter Tasbiha (8), and a city warden, Abid, were killed in a targeted attack while they were travelling in a van that looked like a Police vehicle near Furniture Market in the North Karachi Town. 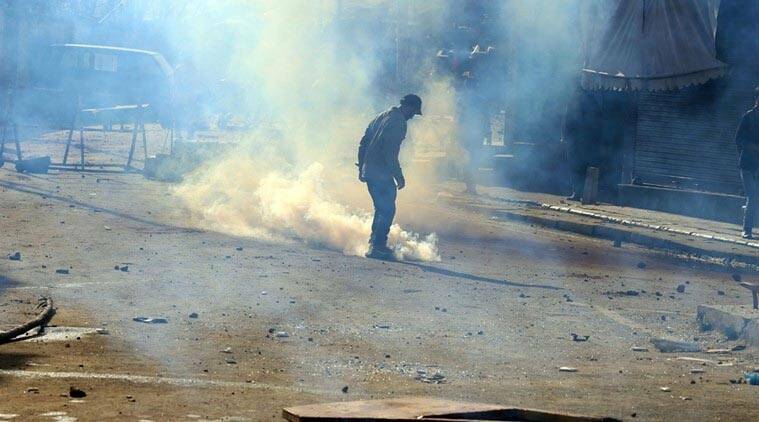 On March 31, 2016, at least five people were killed and several others were injured when a blast occurred inside a vehicle on Kashmir Road in the Jani Khel area of Lakki Marwat District in Khyber Pakhtunkhwa (KP). In the worst attack of 2016 so far (till April 17), at least 74 people were killed and more than 300 were injured in a suicide blast inside the Gulshan-e-Iqbal Park in the Iqbal Town area of Lahore, the provincial capital of Punjab, on March 27, 2016. Significantly, a large number of people, mostly Christians were present in the park, celebrating Easter. According to partial data compiled by the South Asia Terrorism Portal (SATP) database, 831 terrorism-linked fatalities have already occurred in Pakistan in 2016, including 222 civilians, 102 Security Force (SF) personnel and 507 terrorists/militants. The country has also recorded 82 major incidents (each involving three or more fatalities) resulting in 715 fatalities (183 civilians, 68 SF personnel and 464 terrorists). Further, 43 blasts accounting for 176 deaths and over 520 injuries in the current year. During the corresponding period of 2015, Pakistan had seen 1,334 terrorism related fatalities, including 351 civilians, 107 SF personnel and 876 terrorists. The country witnessed 111 major incidents resulting in 1,021 fatalities (147 civilians, 59 SF personnel and 815 militants) in this period, as well as 83 blasts accounting for 214 deaths and over 398 injured. Through 2015, Pakistan recorded a total of 3,682 fatalities, including 940 civilians, 339 SF personnel and 2,403 terrorists/militants as against 5,496 fatalities, including 1,781 civilians, 533 SF personnel and 3,182 terrorists/militants in 2014. The number of major incidents also declined from 402 (accounting for 4,173 deaths) to 322 (resulting in 2,923 fatalities) over this period. Similarly, 2015 recorded 216 incidents of bomb blasts resulting in 495 deaths, down from 388 incidents resulting in 840 deaths recorded in 2014. Moreover, as against 25 suicide bombings accounting for 336 deaths in 2014, year 2015 recorded 19 such incidents resulting in 161 deaths. The Pentagon’s two civilian workforces now outnumber the active duty military. Meanwhile, the military alone continues to shrink, but Pentagon management still lacks the requisite information and authorities to shape any workforce smartly. Even though the Pentagon spends more on contractors for services than on weapons, previous defense reform efforts have overwhelming focused on how the department buys equipment, leaving the purchases of services and this contractor workforce grossly lacking in oversight and accountability. Strategically right-sizing all the Pentagon’s civilian and military workforces will require better data collection, expanded modern management authorities, and sustained political support from the next secretary of defense and the 115th Congress. Just as Congress updated military retirement options, the military health care system must be modernized to give the 80 percent of the force who do not serve a full career better lasting value, choice, and flexibility. Defense reform has been a primary focus for Congress over the last two years, and 2016 is no different. The combination of sustained advocacy for change and a defense budget drawdown has driven higher interest in ongoing structural repair at the Pentagon. In Congress, the House and Senate Armed Services committees have embarked on a comprehensive agenda spearheaded by the most ambitious defense acquisition revamp since the late Clinton era, an unprecedented transformation of the military retirement system, and the first reconsideration of Goldwater-Nichols since its passage in 1986. The latest efforts at reform, however, did not begin with Congress. In 2010, the Quadrennial Defense Review Independent Panel, a bipartisan, blue-ribbon commission, called for a comprehensive overhaul of the all-volunteer force, including a presidential commission to review the pay and benefits of US military personnel and revise the arcane career system for those in uniform. In 2011, then Secretary of Defense Robert Gates launched a limited set of “efficiency initiatives” aimed at reducing overhead in back-end offices and management. Then in 2014, the National Defense Panel wholly endorsed structural defense reform, stating that “the Secretary [of Defense] cannot be expected to reform the Department without cooperation and support from the political authorities to whom he answers.” Presidential candidates soon joined in. Former presidential candidate Jeb Bush penned op-eds in prominent defense outlets supporting robust defense reform, and the plurality of the Republican field—including Donald Trump, Ted Cruz, John Kasich, Marco Rubio, and Carly Fiorina—has expressed a desire to rebuild the military while also changing the way the Pentagon does business. Given this frenzy of activity and the likelihood that defense reform will top the next secretary of defense’s agenda, it is important to take stock of current reform efforts and redirect policymakers’ attention to equally important but underappreciated areas in need of reform: (1) the two unchecked defense civilian workforces—one in-house and the other contracted out; (2) defense contracting for services (not weapons systems); and (3) the military health care system. Here is the complete list of names published so far in the “Panama Papers. As each name was published forming an idea of the scale it didn’t take long for heads to roll. First up was Iceland’s Prime Minister Sigmundur Davíð Gunnlaugsson who after some resistance stepped down in response to the controversy. Next up was the UK’s Prime Minister David Cameron, who admitted a stake in his father’s offshore company – questions continue to emerge as the debate over politicians and their tax affairs continues to spread like a virus. But one has to ask, where are all the Americans? Not one mentioned by mainstream media outlets. Does this start to smell a bit fishy? Don’t forget that the United States is considered something of a tax haven in its own right. Flexible entity and corporate structures, tax breaks and tax-favoured vehicles for capital gains result in a relatively low tax burden compared to most countries. This makes the USA an attractive place to do business, just like in the UK. Lastly, don’t forget that many named may not have actually done anything wrong either legally or otherwise. For instance, some named in the Panama Papers live and work in countries where no tax is chargeable in the first place. A wikipedia page has already emerged with the complete list, which no doubt will be updated with each new revelation. 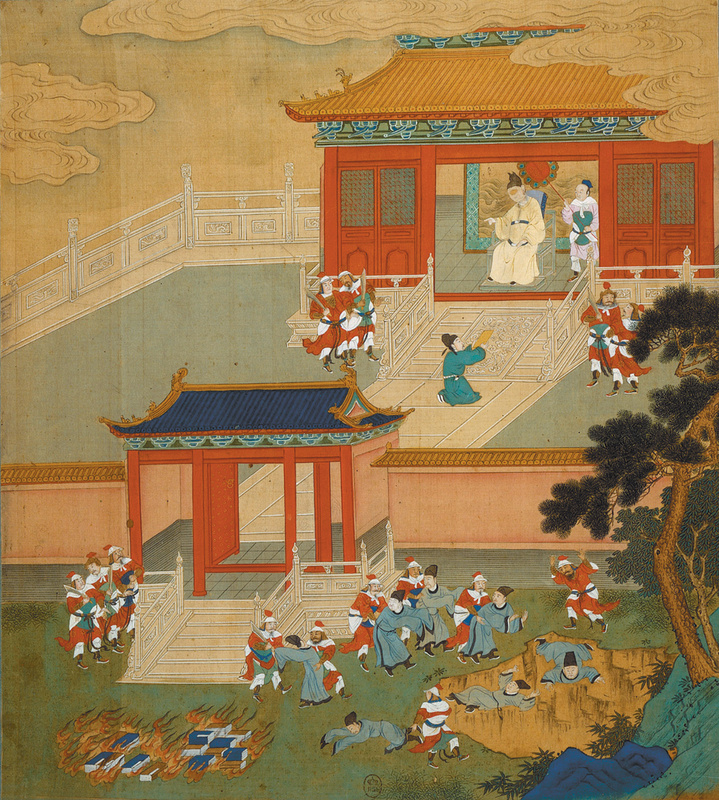 Bibliothèque Nationale de France/RMN-Grand Palais/Art ResourceAn eighteenth-century painting showing Emperor Qin Shi Huang of the Qin dynasty ‘burning all the books and throwing scholars into a ravine’ in order to stamp out ideological nonconformity after the unification of China in 221 BCE. ‘For over two millennia,’ Ian Johnson writes, ‘all our knowledge of China’s great philosophical schools was limited to texts revised after the Qin unification.’ Now a trove of recently discovered ancient documents, written on strips of bamboo, ‘is helping to reshape our understanding of China’s contentious past.’ Illustration from Henri Bertin’s album The History of the Lives of the Chinese Emperors. 1. As Beijing prepared to host the 2008 Olympics, a small drama was unfolding in Hong Kong. Two years earlier, middlemen had come into possession of a batch of waterlogged manuscripts that had been unearthed by tomb robbers in south-central China. The documents had been smuggled to Hong Kong and were lying in a vault, waiting for a buyer. Some information has leaked from the redacted section, including a flurry of pre-9/11 phone calls between one of the hijackers’ Saudi handlers in San Diego and the Saudi Embassy, and the transfer of some $130,000 from then-Saudi Ambassador Prince Bandar’s family checking account to yet another of the hijackers’ Saudi handlers in San Diego.stigator who worked with the JTTF in Washington complained that instead of investigating Bandar, the US government protected him — literally. He said the State Department assigned a security detail to help guard Bandar not only at the embassy, but also at his McLean, Va., mansion. The Verkhovna Rada, Ukraine's unruly parliament, voted on April 14 to accept the resignation of Arseniy Yatsenyuk, leader of the People's Front party. The prime minister, who has been in post since the Euromaidan uprising in February 2014, reluctantly announced on April 10 that he intended to leave office. President Petro Poroshenko's eponymous parliamentary bloc narrowly approved the appointment of the current speaker of the parliament, Volodymyr Groysman, who has long been closely associated with the president, as Yatsenyuk's successor. As horse trading took place in recent days over the ministerial line-up, it was unclear whether Groysman would garner the necessary 226 votes to be confirmed as prime minister, but he was finally approved with 257 votes to 50. Yatsenyuk bitterly complained that he had been forced out of office by venal personal ambition which had generated what he termed an "artificial" political crisis. Yet, while Ukrainian politics is pathologically personalised and conducted with a large measure of cash-fuelled political trickery, the political crisis, as he surely knows, is very real. For a time, the undeclared "war" to defend "European values" against Russian-supplied proxies in the Ukrainian Donbas in the east of the country animated the hawkish Yatsenyuk's People's Party. It became known as the "war party". But no amount of patriotic jingoism and cheerleading could disguise the reality that his armed forces had lost militarily on the battlefield, forcing the authorities to accept an unfavourable ceasefire. The pretence otherwise only made it harder to reach a lasting resolution to the conflict. While attending a conference in Slovakia, our director of analysis reflects on the future. I have worked at George’s side now for six years, and for the past six months as the director of analysis here at Geopolitical Futures. And yet, this week marks the first time that I have accompanied George on one of his geopolitical journeys. George’s reflections on this trip will resume tomorrow, but today’s Reality Check gives me a chance to step back, reflect and offer a slightly different perspective. The first stop for us was Bratislava, capital of Slovakia and home to a conference called Globsec. Now in its 11th year, Globsec has established itself as the leading political and security conference for Central and Eastern Europe. The various panels and discussions have been interesting, but one gets the distinct impression walking around that the most important part of Globsec is not what people say on the panels. If that was all there was to it, we could have stayed in Austin and watched the live-stream of the various meetings from the comfort of our own homes. But besides that, people rarely say what they really mean – statements are political tools to manage perception. When politicians say what they really mean it is usually because they have nothing more at stake in that particular issue. Globsec is really about meeting people. It is about the off-the-record conversations with people who are shaping the world through their decisions and actions. It is about forging relationships that, even in our globalized age of instant communication, would not exist without the ability to look the other person in the eye and discover that you share an interest. There is a sort of logic to a conference of this sort being held in Bratislava – a small, relatively unimportant (when compared to the larger and wealthier nearby cities of Vienna and Budapest) European capital and Cold War border city between the communist Eastern Bloc and the West. Bratislava is a crossroads, where many interests meet and then go in separate directions. It is remarkable how many important people were simply walking around Globsec’s venue at the Grand Hotel River Park, located on the northern bank of the Danube River. On Saturday morning, my day began by listening to the deputy prime minister of Jordan describe how 21 percent of his country’s population is now made up of Syrian refugees (a startling fact that deserves a moment of parenthetical pause). Over lunch, I had an opportunity to watch George, trade arguments and stories with one of his old teachers and mentors from his days at Cornell University, an Israeli professor of political science who can speak about Hegel in one breath and tank maneuvers in the next. After a brief respite, I was shooed away from the elevator that opened up on the 10th floor to take me downstairs, and as the doors closed I realized it was because there was not enough room for me and for former U.S. Secretary of State Madeleine Albright and her various bodyguards. The seemingly endless queues at border crossings, immigration officials studying your documents, the restrictions to movement within Europe. These are all things which, for many Europeans, belong to either a distant memory of a pre-Schengen Europe, or travel to far off places. But in the context of the refugee crisis, the terrorist attacks that the EU has suffered, and the Brexit debate, attitudes to the Schengen zone – previously one of the central pillars of the EU that member states were keen to protect at all costs – have changed. We are in a situation where member states have acted either unilaterally or in groups to alter the level of free movement in this borderless area. Factors such as the refugee crisis and terror attacks in Europe have led several member states to reinstate border controls – including between Sweden and Denmark whose border-free zone long pre-dates Schengen. We have drifted so far away from the tenets of a border free Europe outlined in Schengen, that the European Commission has written a “Roadmap back to Schengen”. The document, penned in March 2016, would have been unthinkable even six months ago. Listen: ECFR's Susi Dennison explores the findings of our research on the future of Schengen Your browser does not support the audio element. To explore how this “Schengen crisis” is affecting different parts of the European Union, we asked our group of 28 associate researchers from across each EU member state, to look into the actions and perceptions around Schengen in their own country. This briefing is based on the research they have carried out, including interviews with policy makers and experts. Our researchers have aimed to look beyond official government statements to evaluate both public opinion as well as policy makers and the views of those in government in order to understand the realistic prospects for the future of Schengen. Despite the headlines, which do not make for pleasant reading, the suspension of Schengen in some countries has not caused member states to give up on its principles or become defeatist about the prospect of reinstating them. Our research has shown that 22 of the 28 member states are confident that the Schengen system will survive the summer. The six countries that are more doubtful about the future of Schengen admit that there is a very small chance of the system collapsing, even if the refugee crisis worsens considerably. In official statements, European governments have continuously stressed that fully reinstating Schengen is important to them. Even the four heads of state of the Visegrad Four (Czech Republic, Hungary, Poland and Slovakia), countries that have often resisted agreed European policy positions throughout the refugee crisis, stated that “Schengen remains a key practical and symbolic achievement of European integration. We reaffirm our determination to preserve Schengen so that European citizens and businesses continue to fully enjoy its benefits”.